Austria. The first thing that comes to mind when most people hear this country is The Sound of Music and Julie Andrews singing My Favorite Things! 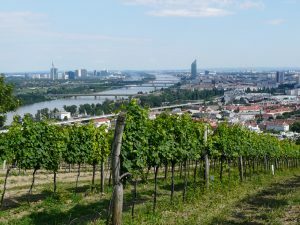 However, this little European country is known for something else that will likely become one of your favourite things, Gruner Veltliner. 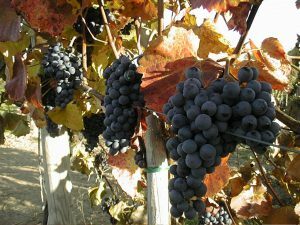 Read on as Alex sheds light on this versatile grape as well as other wines that are made in Austria. Priya: I don’t even think I knew Austria made wine! Why do you think it’s such a little-known region to non-sommeliers? 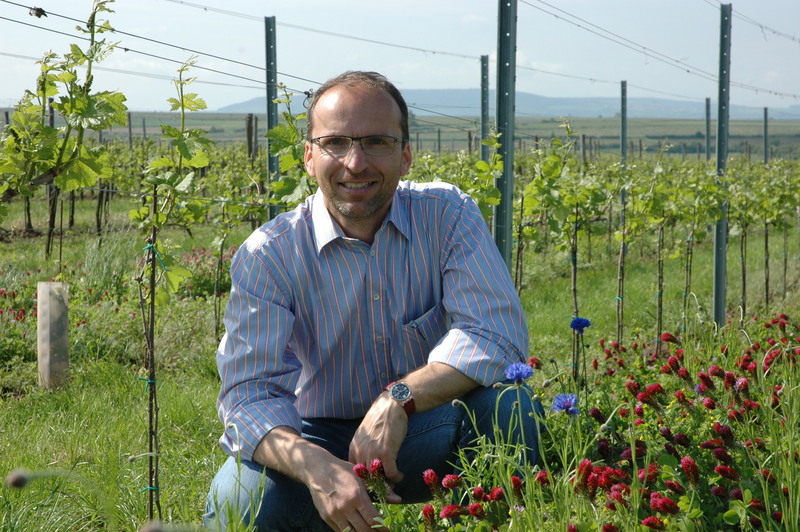 Alex: For one thing, Austrian wine production is less than 1% of the total wine production in the world. 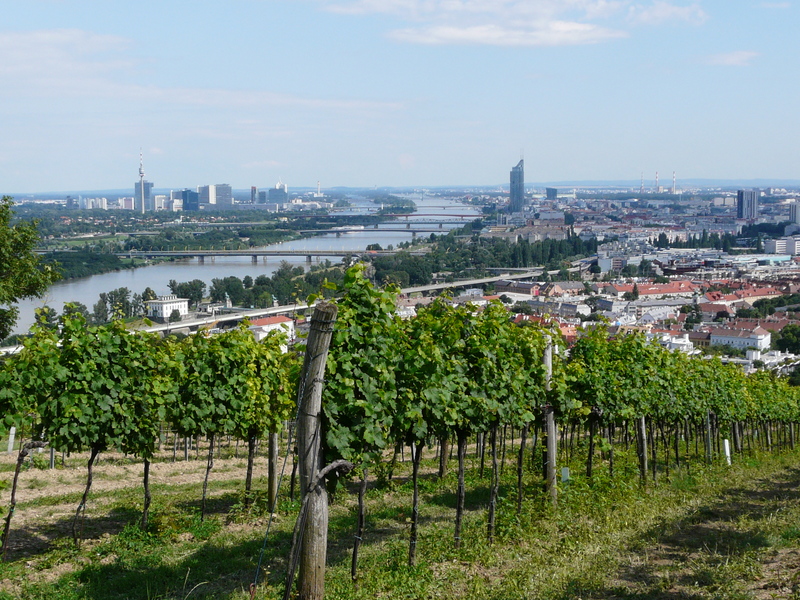 Unlike other European regions where it seems like the entire countries are vineyards, in Austria wine is made really only in the east of the country and even at that, the region is sparsely covered in vineyards. On top of that Austria hasn’t been revered for making great wine over a long period of time. It was only in the 1990’s that the world caught on to the splendor, quality and value of Austrian wine. Priya: Spoken like a true fan of the region! I admit that I have also grown to adore this little-known grape. It’s easy to drink for wine beginners like myself and can help me develop my appreciation as I go up the ladder of quality. 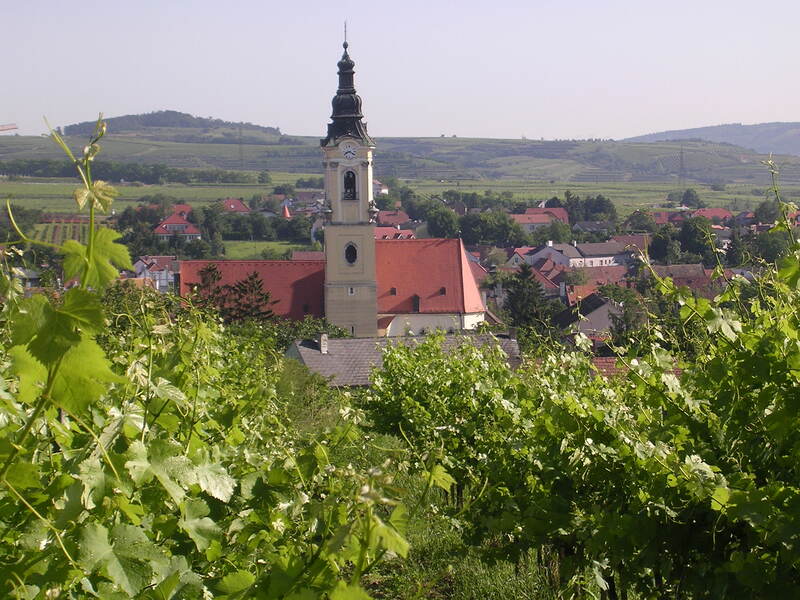 Alex: Ah yes, Gruner Veltliner—the jewel of Austria! 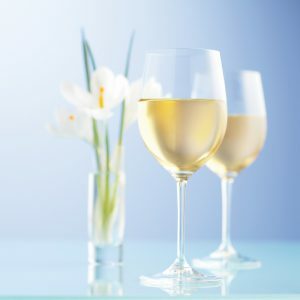 Gruner is indeed one of the world’s most unique white wine grapes in the sense that it can go from making wines that are very herbaceous and spicy to those that are lush and decadent and everything in between. Priya: There’s a dramatic difference from entry-level Gruners to those made in the top vineyards is what I’m hearing. Alex: Yes, to the point where you wouldn’t know it’s the same grape. I like to call it the ‘transformer’ of the grape world. Priya: Leave it to you to take it to fan boy level! 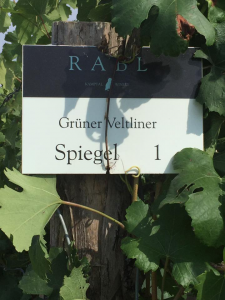 We were fortunate to have a tasting of 12 Gruners and they varied in terms of dryness and effervescence. For those who are new to this grape, what can you equate it to, I mean, what white wine is it similar to in terms of flavor? Alex: I would say, in the under $25 range Gruner is like a cross between Sauvignon Blanc and Riesling. Above that price you can expect a more rounded expression that is similar to Loire Chenin Blanc. Priya: You often say there’s a Riesling for everyone, would you say the same about Gruner? 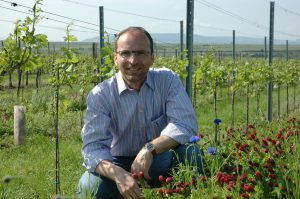 Alex: I’d say even more so as it covers both areas of white wine that folks gravitate to—from bone dry and crisp to full and lush without being sweet where full Rieslings do often tend to be sweeter. Priya: Since we’ve mentioned Riesling, it’s also produced in Austria isn’t it? Alex: Indeed it is and I would argue they make some of the best Riesling in the world. 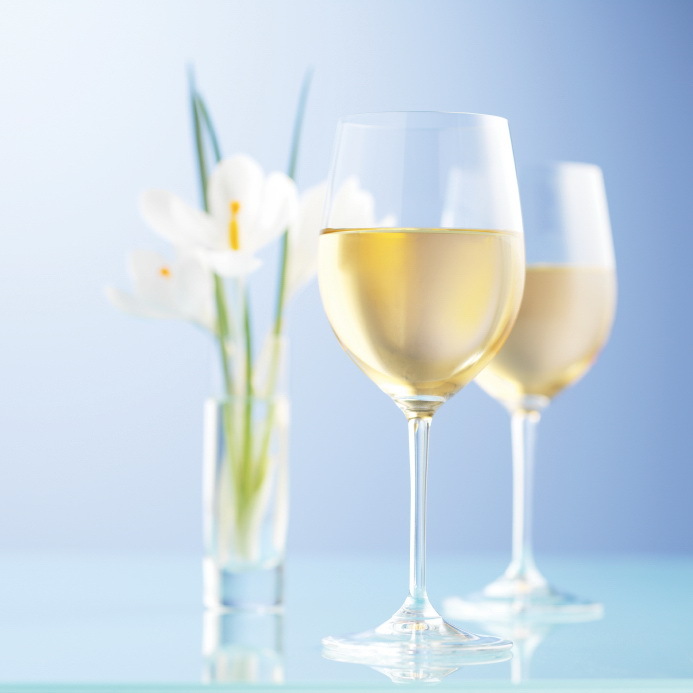 They produce a style that is full-bodied and rich, similar to that of Alsace but here it’s almost always dry. Priya: What about reds? 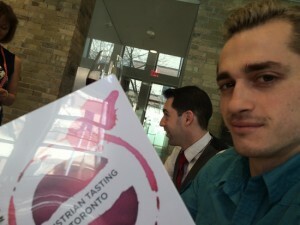 When we went to the big Austrian tasting last spring they were focused on highlighting the red wines they are producing. What are the major grapes and whom will they appeal to? 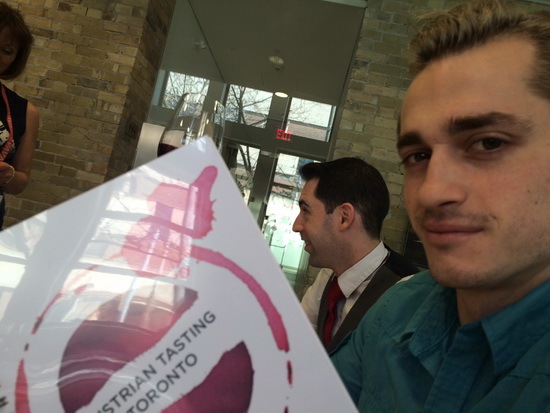 Alex: Major red grapes of Austria are Zweigelt and Blaufränkisch with Pinot Noir and St-Laurent. The wines range from being very Pinot Noir-esque but with darker fruit (St-Laurent and Blaufränkisch) whereas Zweigelt tends to be fuller, spicier and more tannic not unlike French Syrah or Cabernet Franc. 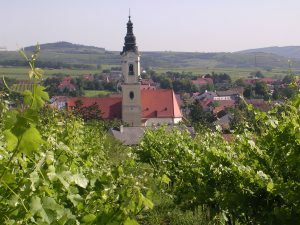 It’s important to note that Austria has a strict vineyard rating system in which 52 are determined to be Erste Lage, or Premier Cru. 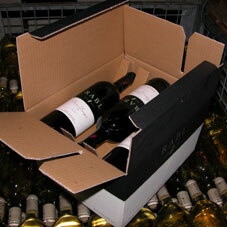 The wine will display a “1OWT” graphic if it’s from an Erste Lage vineyard. Almost always, these wines are excellent and worth picking up. Alex: Yes and his philosophy shines through in his wines. We can always tell who’s actually roaming through the vineyards! They use no fertilizers and don’t spray in the vineyards and are very concerned with their carbon footprint—not a phrase you hear a lot of winemakers say! Priya: I love that. It was apparent his love of the fields and his thoughts around global warming. Alex: According to him, 20-30 years ago only 1 in 6 vintages were good. 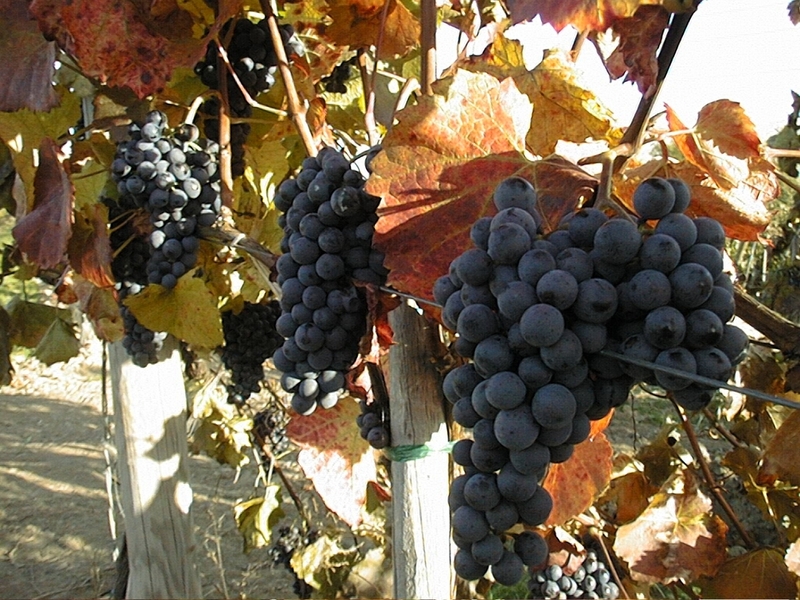 Nowadays 7 or 8 years out of ten are good and red grapes can ripen much more consistently leading to an increase in Austrian red wine production. We asked Rudi about Gruner vs. Riesling and he said while he loves both, Gruner makes a better entry level wine where Riesling can be difficult to ripen in lesser vineyards. When it comes down to it, they both make exceptional high-end wines. Alex: I was surprised that Rudi feels Gruner makes the better aged wine. It’s something I’ve never had the opportunity to try but would love to. He went so far as to say if we visited the vineyard he would bring us out 2 bottles, an aged Gruner and an aged Riesling. If we try the Reisling we’d say it was great but when we try the Gruner we would say ‘what the f*ck’ is this!’ Now that’s a wine I’d love to experience. We enjoyed three Rabl wines including their 2015 Terassen, their 2012 St. Laurent and our top pick, their 2015 Speigel which we felt has a nice sparkle and a lovely purity. The next time you’re at your local store, do yourself a service and pick up a bottle of Austrian wine, we promise you’ll be happy you did! Alex and Priya are not only wine lovers, but lovers in real life. No wine snobbery here — they’re all about bringing wine back to the masses. Together, they are the hosts of the upcoming television series, “The Drink” on Bell FIBE1. Alex is a Certified Sommelier who lives, breathes, and of course, drinks wine. He is very passionate about wine and is currently the in-house sommelier for celebrity chef Susur Lee, and hip-hop star, Drake’s “Frings” Restaurant. Alex was the only person in a class of over 200 students to earn a perfect score on his Wine Specialist Exam in Napa, California. 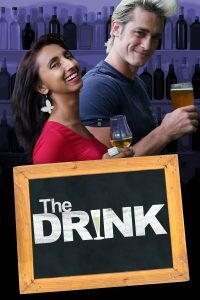 Priya, an actor and on-camera host with top Canadian film talent, is a casual drinker and an entertaining hostess. With her background as a comic performer and producer, Priya has also produced and hosted events for groups of 100 to more than 2,000 guests.